The most difficult disabilities that associations grapple with are those that are relieved by emotional support animals as opposed to a service animal. However, just because the disability is not readily apparent, but rather psychological in nature, does not mean that the resident’s claim is bogus or deniable. If a resident is being treated for depression, especially if they have lost a spouse or loved one and are receiving psychiatric therapy as well as perhaps also medication, it is difficult to deny a doctor’s claim that the animal provides the emotional support that is necessary for them to perform the most basic major life activities such as going to work, buying the groceries and even simply just getting out of bed. 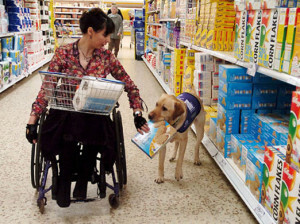 Associations must keep in mind that it is the resident’s burden to prove the disability and that the relief provided by the service animal is necessary to afford them an equal opportunity to use and enjoy the dwelling. However, associations and property managers should always engage in discussions with the resident by requesting and evaluating all of the necessary information so that they may make an informed decision.